A record number of international companies applied for ISPO Textrends, the performance textiles, accessories and trims forum for the Sports & Out-doors markets. Judged by an international jury of textile experts, Best Product, TOP TEN and Selection were awarded in 10 sectors that will feature at the ISPO Textrends forum at ISPO Beijing in January and ISPO Munich in February 2019. 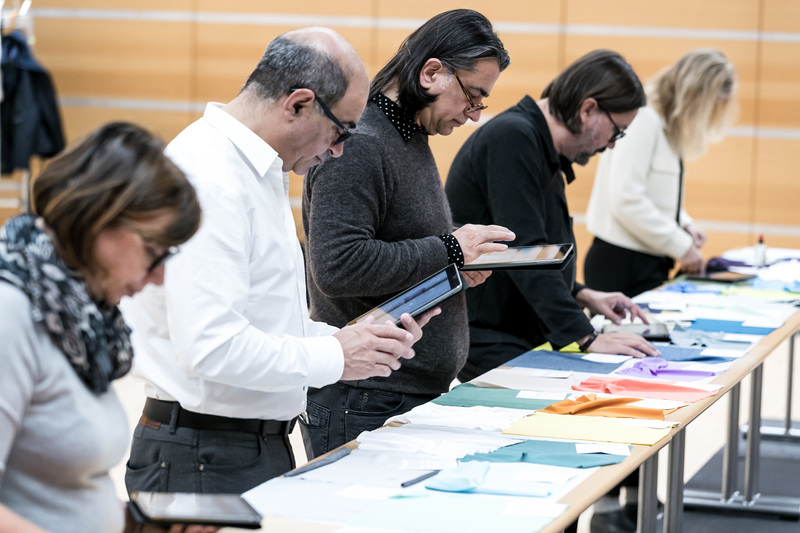 The agony of choice: The international Textrends jury had to evaluate as many submissions as never before this year. “I was really encouraged to see the integration of ‘responsible’ into every-thing that is innovative and creative driven. I feel really proud, that generally speaking, this value has been integrated into the best things today,” said Giusy Bettoni, CEO of C.L.A.S.S. A higher level of sensual haptic features across all sectors, with a notable improvement in recycled synthetics this season, delivering a touch that is on par with conventional synthetics. Performance is heightened as protection embraces the sports and outdoors markets. Water repellency, insulation, reflective coatings and prints, high tenacity anti-rip and abrasion resistance products are just some of the properties that protect. Surface structure and depth features for the season, but what you see isn’t what you get. 3D relief is delivered through the optical use of yarns and prints. From realistic digital aspects to yarn-dyed effects, with subtle definition further enhanced through embossing and flocking. Insulation, the invisible ingredient essential to the sports and outdoors markets continues to innovate. Designed to provide superior loft, warmth and recovery thanks to the unique multi-shape structure, Ecodown Fibers are animal free and also feature 100 percent recycled fibers. Unlike traditional zippers, the Dynamic Zipper isn’t fixed. With SAB’s new design, the zipper chain works in a gliding motion. When you turn your head, the zipper slides accordingly to avoid the hood blocking your vision, offering higher visibility in hooded garments—perfect for winter sports apparel. All the products awarded Best Product, TOP TEN and Selection awarded by the jury will be revealed at the ISPO Textrends forum at ISPO Beijing (Jan 16 - 19, 2019 • Hall E2, Booth 2.4.6) and ISPO Munich (Feb 03 - 06, 2019 • Center of Hall C5). Full details of all the materials will also be available, 365 days a year, in the ISPO Textrends trendbook, the invaluable sourcing tool for the sports and outdoor markets. Images of the Best Products for editorial coverage are available for Download here.